« Was The Day Before Thanksgiving! The traveling Wall came to Lady Lake / The Villages. Opened Nov 2 and closed Nov 4th. 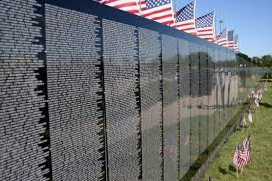 The Vietnam Traveling Memorial Wall was open to the public for three days at the Soccer Fields on Rolling Acres Road.